As one of the most glamorous islands in the southern Indian Ocean, Mauritius is synonymous pristine palm-fringed beaches backed by crystalline waters. We check out the top 10 things to do in Mauritius, the so-named Paradise Island, a hotspot for honeymooners complete with swanky resorts, emerald-green sugar plantations, top-flight golf courses and underwater attractions. Where: On the sea bed at Grand Baie. What: Moored just inside the lagoon reef, Captain Nemo's Undersea Walk is a unique sub-marine attraction located four-metres down beneath the Indian Ocean’s surface. Kitted out in a wetsuit, weight belt and diver’s helmet with transparent visor, ‘walkers’ descend a ladder from the aluminum platform to the sea floor. Solar-powered pumps on the boat above feed through a stream of oxygen during the 20-minute walk that is available to anyone over the age of seven. No diving (or even swimming) experience is necessary. Highlights: Walks take place every few hours between 9am to 3pm, but it is advisable to book a day in advance during peak season. Glasses and contact lenses may be worn and soft underwater shoes are supplied free of charge. Accompanied by qualified guides, groups of up to 16 get to tour inside the reef to marvel at beautiful corals and rich sea life. Admission costs £30 per person and you should allow a total time of 90-minutes from pick-up to return. What: The Grand Baie area is party central with plenty of hip bars and cool music venues. Dance devotees should head to Royal Road to hit Stardance Club for a mix of pop, rock, techno and retro floor-fillers, and hit Buddha Bar for pumping house music spinning on three floors. Other crowd-pleasers include Les Enfants Terrible, a one-stop clubbing spot housing an open-air patio, chill-out lounge, DJ bar and VIP section that stays open until 3am, and The Beach House, a laid-back cocktail haunt where you can kick back with a sundowner. Highlights: Grand Baie’s showstopper is Banana Beach Club, a three-in-one venue that is self-styled as ‘the place’ for the island’s movers and shakers. Sample local Phoenix or Blue Marlin beer and signature cocktails, dine at the Gourmet Grill and get your groove on at the Kamikaze, a nightclub complete with two dance floors and a rooftop Sky Bar. The place packs out most nights with upbeat music, DJs, dance performances and live bands. 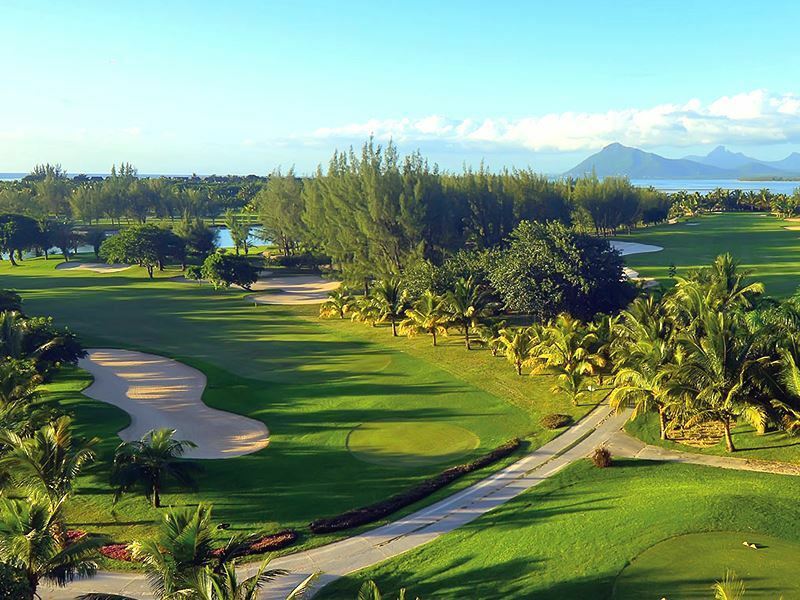 Where: At eight top-flight courses attached to upscale hotels throughout Mauritius. What: For fairways and greens that curl along the glittering shoreline, the 18-hole par-72 international course at five-star Paradis Hotel &amp; Golf Club is knockout. Designed by Zimbabwean-born golf legend Tony Johnstone, the course measures 5,924 metres, stretching between Le Morne Brabant Mountain and the lagoon of the Morne peninsula. Green fees cost £12 for guests and £73 for non-guests. Highlights: Overlooking Trou d’Eau Douce Bay, the 18-hole par-72 course championship course at five-star Le Touessrok is one of the islands finest. Designed by professional German golfer Bernhard Langer, demanding holes snake up and down the length of the island fringed by white sands. There are nine lakes in total, with a number of holes requiring tee shots across sea inlets to the fairways. At 7115 yards, this is the longest course in Mauritius and only accessed by a private golf boat that takes players from the resort to the island of Ile Aux Cerf. Green fees are free for guests. 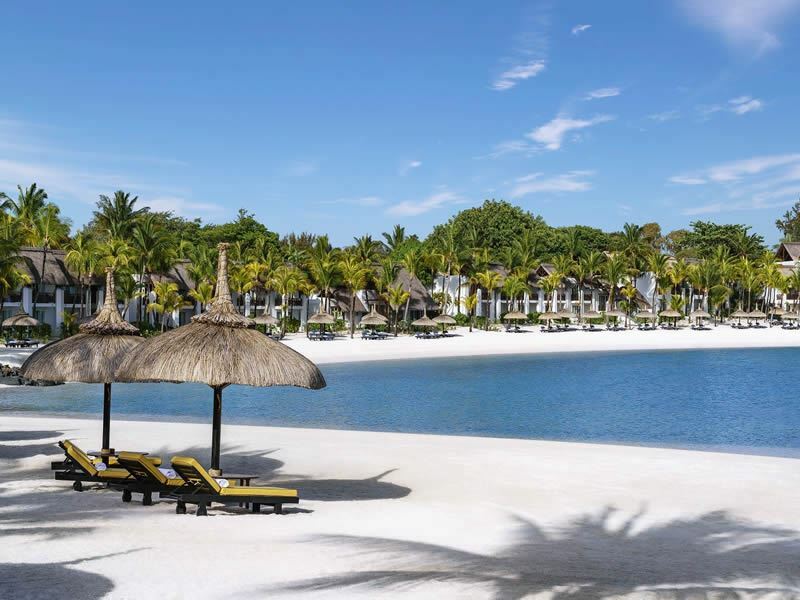 More information and to book: The ultimate in luxury, Paradis Mauritius boasts a prime location on one of the most beautiful beaches on the Le Morne peninsula while Le Touessrok's golf course can be found just off the coast on Ile aux Cerfs. Where: Deep-sea fishing operators are located around the island. What: Wannabe anglers can prepare for a duel against the Blue Marlin, the most targeted gamefish in the world. Exceeding 2,000lbs in weight, its size and fighting ability is legendary as it lurks in the tropical waters waiting to pounce on unsuspecting boats. Highlights: Shoals of yellow fin tuna move into Mauritian waters in March and April while wahoo, a relation of the barracuda with razor-sharp teeth, are most prominent in September. Depending on the time of year, other sightings include hammerhead, sailfish, mako, white fin shark, giant trevally, bonito, dolphin and more. Most boats can accommodate up to eight passengers and come equipped with state-of-the-art navigation and communication equipment, a wide choice of artificial lures and exciters, life jackets and other safety essentials. Most hotels can book full-day deep-sea fishing trips from round £137 for adults and from £95 for children aged five to 12. Breakfast, BBQ lunch and complimentary drinks are included. Where: At luxurious resorts throughout the island. What: Dinarobin Hotel Golf &amp; Spa is a five-star luxury bolthole where you can spend your days in a blissful Zen-like state at Spa by Clarins. Housed in a stone building at the foot of the Le Morne Brabant Mountain, this temple-like oasis tempts with hydro-massage rooms, steam baths, hammams, a sleek slate-lined pool with Jacuzzi jets and a four-cabin area dedicated to Ayurvedic treatments. Highlights: Spa aficionados will adore the 75,000 square-foot Nira Spa at five-star boutique resort Shanti Maurice, an exquisite space set around an enchanting tea pavilion and surrounded by flower gardens and lily ponds. Facilities include 25 treatment rooms, yoga pavilions, couples spa therapy suite and outdoor heated spa pool with Jacuzzi. There is an extensive pampering menu but the most indulgent signature treatment is Sega Ritual, a therapy using organic sugar syrup and coconut-butter that is performed on the beach at dusk. More information and to book: Check out our hand-picked selection of stunning spa resorts that really capture the essence of Mauritius. What: Whilst the north of Mauritius boasts the best variety of beaches, the most celebrated stretches of sherbet-white sand are in the glamorous east, with golden sands more prominent on the west coast and Robinson Crusoe-style islands in the wilder south. Depending on your preference, catamarans cruise to Gabriel Island, Flat Island, Round Island, Ile Aux Cerfs Island and the West Coast, including surfing hotspot Tamarin Bay. Highlights: For loved-up duos, there is little more clichéd than sailing the waters of the Indian Ocean whilst watching the sun setting across the lagoons. Departing from Grand Baie, Trou D’eau Douce, Tamarin Bay and Blue Bay, couples can book a full sunset experience that includes dinner, drinks and live music - or opt for a simpler cruise with refreshments only. Catamarans range from 14-feet (basic) to 100-feet (luxury) and can be booked exclusively or shared with other guests. 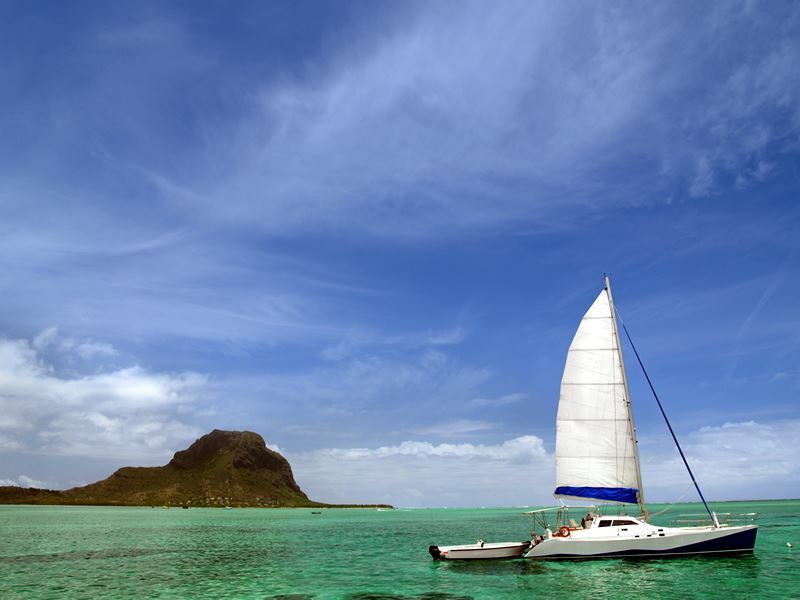 A two-hour sunset cruise along the east coast aboard a luxurious 40-foot catamaran costs £29 per person with Mauritius Catamaran. Where: Off the eastern coast of Mauritius. What: Named after the stags (cerfs) that freely roamed here, this island playground boasts over four kilometres of talcum-white sand edged by swaying palm trees and translucent waters in all shades of blue. Also called Deer Island, much of its interior belongs to the manicured fairways at 18-hole championship course at five-star resort Le Touessrok. Highlights: Beyond sunworshipping on sugar-soft sands, this watersports paradise offers banana boats, speedboats, parasailing, water skiing, sailing and more. Snorkel in the lagoon, take an underwater sea walk or take a ferry (runs half-hourly) to neighbouring islands. There are several fabulous lunch spots, all owned by Le Touessrok. Enjoy local fish, seafood, pizza or tempting Mauritian dishes at Paul et Virginie, sample contemporary Indian fare made with locally-sourced ingredients at the rustic La Chaumière Masala, or savour sushi, sashimi, Japanese grills and salads at Barlens. What: Established in 1994 and listed as UNESCO World Heritage Site in 2006, Black River Gorges National Park stretches over 6574 hectares of land, covering roughly two percent of the island’s surface. Accessed by four entry points, facilities include picnic areas, information centres, and over 60 kilometres of hiking trails across native forest and marshy heathland. 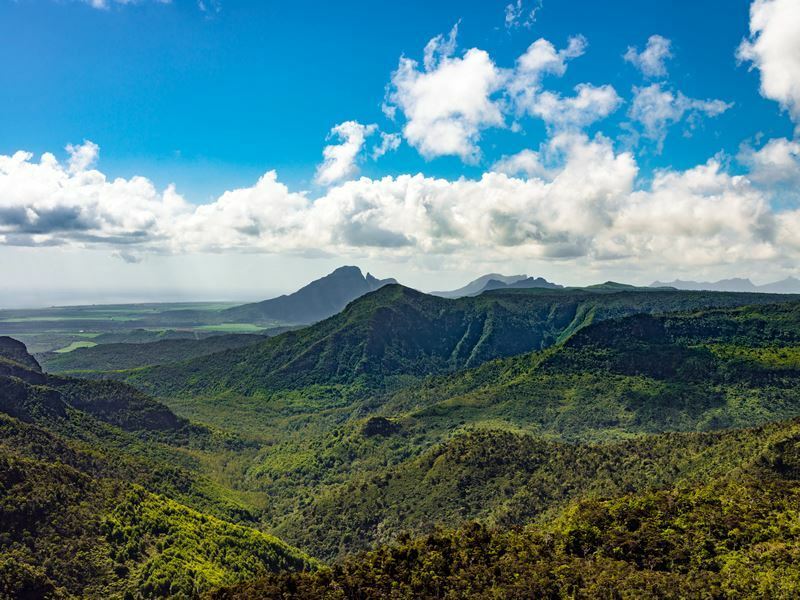 Highlights: For those who love the great outdoors, the thick forest is home to over 300 species of flowering plants and nine endemic species of bird - most famously the rarely-seen Mauritian pink pigeon. The park is an important habitat for other endangered bird species such as the Mauritius kestrel and the echo parakeet, but also home to curious deer, wild boar, macaque monkeys and the Mauritian flying fox - an extinct species of megabat. 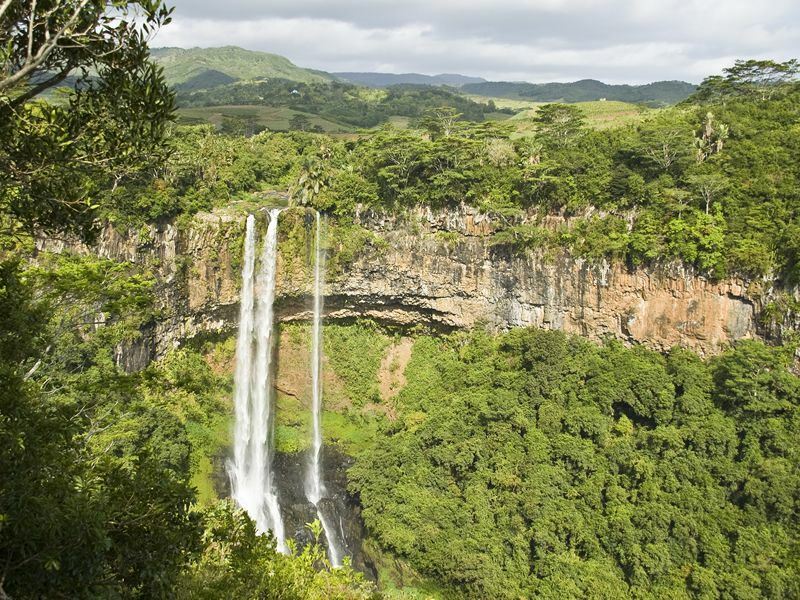 Adventurous types can abseil down canyon walls and thundering waterfalls while the less brave head to the Black River Gorges Viewpoint (signposted) for panoramic views that stretch from the gorge right to the coast. Where: On the southeast coast, near to the port of Mahébourg. What: This stunning beach ticks every cliché; from sparkling powder-white sands dotted with Filao trees to crystalline waters in hues of blue. Also known as Wild Beach for its waves that tumble gently through a break in the protective coral reef, this Indian Ocean hotspots packs out the locals on weekends. Diversions include diving, snorkelling, sailing, pedal boats, abseiling, windsurfing and kite surfing. Speedboat cruises and catamaran trips to the outlying islets can also be organised through resorts or independent operators. Highlights: Blue Bay Marine Park is a 353-hectare aquatic jungle boasting the island's best underwater scenery. Snorkel in clear waters to explore an exceptionally diverse seabed that includes over 50 species of corals and plenty of luminous Mauritian fish. Most fabulous are the brilliantly coloured butterfly fish, mangroves, algae, sea grasses, damselfish, surgeonfish, butterflyfish, juvenile sailfin tangs, pipefish and large trumpet fish. Where: At many island resorts served by Tropical Sky. What: After visiting remote Mauritius in 1896, Mark Twain quoted an islander as saying: "Mauritius was made first and then heaven; and heaven was copied after Mauritius." Little wonder that this dreamy destination became one of the world’s most enchanting places to tie the knot. So perfect, in fact, that most newlyweds tend to extend their stay and remain on the island for their honeymoon. Highlights: Say ‘I do’ by the ocean’s edge at the five-star Maritim or hold your ceremony 30-metres below the water’s surface in an air-conditioned submarine. 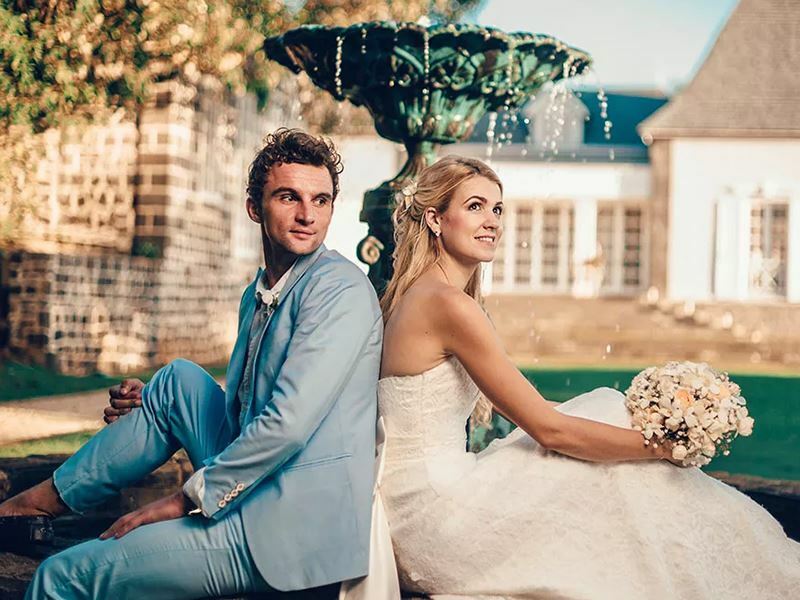 More information and to book: If you’re a couple looking for secluded intimacy, weddings in Mauritius will not disappoint.